Crime Case Management is essential as Firms need efficiency to survive. DPS Crime Case Management Software automates processes. Time is recorded to a case, the claim forms are automatically updated and uploaded to the LAA, the accounts updated & receipted in one swoop. 100% automation from time record to bill to receipt. Only by doing this can the criminal firm hope to make money in Criminal work. DPS Crime is a unique and powerful system that can save hours of valuable fee-earning time. What’s more the automated billing and receipting save days of administration time each month. Magistrates or Crown Court. DPS is ready to go with a full bank of precedents and workflows designed for the criminal case process. Don’t like the precedents? Change them! 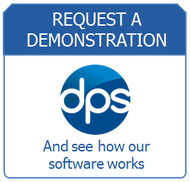 Designed to be flexible DPS encourages you to change the systems and make them your own. Change the style to your own, amend or add new templates and workflows. Ultimate flexibility, like all our software Crime Case Management is designed to be customised by trained users to match your specific needs. The DPS legal billing software works from the time record. The fee earner records time, this is automatically added to the correct claim form, the claim form automatically posts bills to the accounts, the receipts module then automatically receipts the bills. So in effect time is automatically fed to the DPS Financial Director accounts package for Work In Progress (WIP) and billing. When a user email’s or creates a letter or attendance note on the system they are automatically prompted for their time. Nothing is missed resulting in minimal cost leakage. Time can also be entered manually onto the screen via attendance notes or recorded in real time as work is being done. When emails are sent from Outlook they can automatically be attached to the case file. Incoming emails about cases are automatically filed away to the case as well. In effect every email in or out is recorded and charged appropriately to each file; automatically. As with all our software we have fully automated case histories. Literally an electronic case file that can be viewed from anywhere. This is all a part of FD, our practice management system and Team Talk our digital dictation system. The electronic case files lend themselves to modern working and give easy access to information. This can then be displayed in an instant for any matter and is available for billing. Our Central ‘smart’ database for all clients, matters, and contacts avoids data being entered twice or any duplication of effort. The Smart billing process and fully integrated accounts means that no additional keying in of data and manual posting of the bills is needed. We have a fully automated CDS preparation & submission & Billing . Our Fast automated document production means better Fee Earner Secretarial Ratio. Firms using our systems can typically reduce their secretary/fee earner ratios from 1:3 to 1:6 or better. For more detailed information please download our white paper on Criminal Case Management Software below. Find out more about all of these features and the huge benefits our criminal law case management system by requesting a no-obligation demonstration.